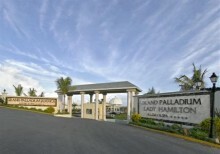 The Grand Palladium Lady Hamilton Resort is an all inclusive resort, located in Lucea Hanover. All rates include meals and beverages at onsite dining establishments. Charges may be applied for dining at some restaurants, for special dinners and dishes, some beverages, and other services. This Lucea resort also has a private beach. Let Jamaica Exquisite Transfer and Tours transport you to Grand Palladium Lady Hamilton from Sangster Internationa Airport Montego Bay, Jamaica. Our private and costumized tranfers allows you to travel in comfort and style. All our vehicles are fully air-conditioned, licensed and insured. Once you choose Jamaica Exquisite Transfer and Tours, we guarantee that you are getting the best transportation rate and service in Jamaica. Reserve your airport transfer with us and we guarantee you that our agent will be at the airport to meet you upon your arrival. Our courteous and professional driver will be there to take you straight to your final destination in comfort.